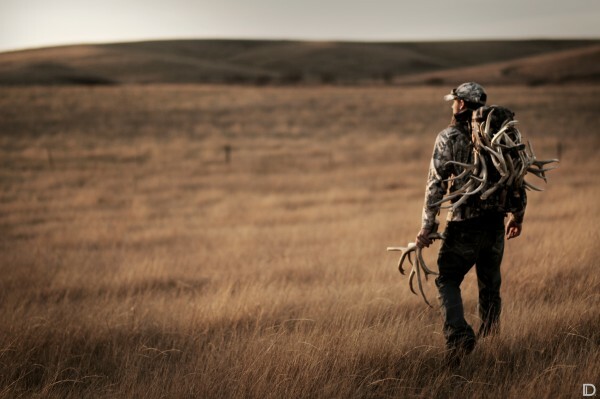 As the landscape changes from a fresh blanket of snow to a green world of new life it becomes harder for us as sportsmen to fill the obsession of being in the outdoors. It seems like yesterday we were climbing into our tree stands and settling in behind our spotting scopes in hopes of pursuing the animals we obsess about all year long. Now that the season is over it is once again time to prepare for the season to come. 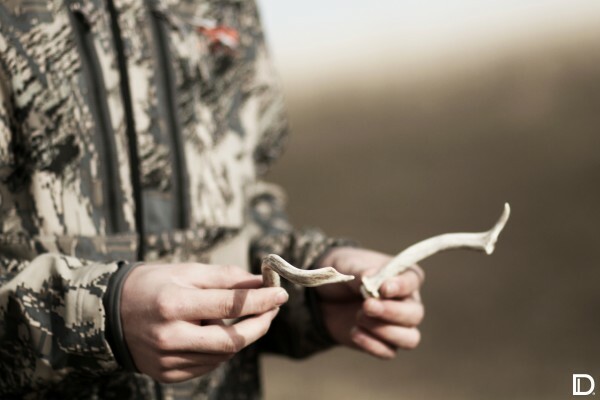 Scouting for deer in our world begins with hunting for sheds. This process starts in early winter when we start to search for areas that our deer are wintering in. 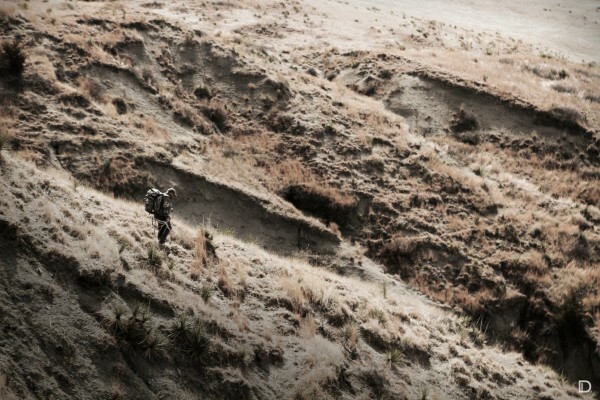 This year we did a late December archery mule deer hunt with Sitka Athletes Mark Seacat and Jeff Simpson. Our primary strategy was to hunt over food sources. With ground blinds brushed into the cover of alfalfa round bales we settled into to sub-zero degree temperatures to embark on our hunt. During this time of year the numbers of deer observed per sit is high. In a good evening we would see up to 150 mule deer. On the third night Jeff was able to connect with mature mule deer. With only three points on each side the buck was still able to push into the low 160’s. Without hesitation the next morning Mark and Jeff were right back in the same blind attempting to make it happen with one of the 180 class bucks we were seeing on a regular basis across the road. Mark hunted hard for the next several days and had a few close calls with some world class animals, but inevitably did not harvest an animal. Mark has taken some great bucks over the years and new exactly what kind of animal he was looking for. During the hunt several bucks were large enough to make Marks hit list. It takes a great hunter to stay disciplined with his commitments of passing on great bucks in order to harvest the trophy he is after. The effort was well worth it and we came away with some phenomenal footage of some of the deer we are anxious to chase next year. With the late season hunt still fresh in our minds we were hardly able to contain our excitement when we arrived at the area we had hunted last winter. 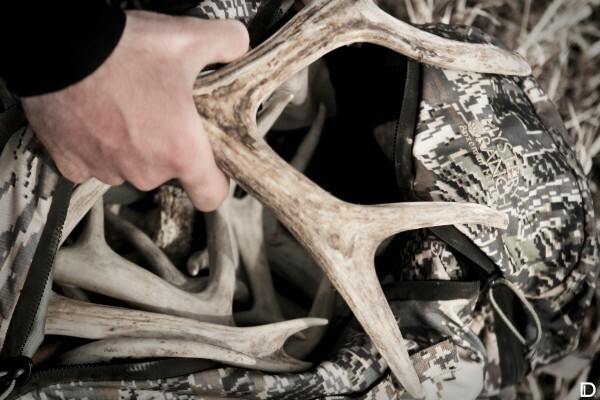 Kyle Metzger, Steve Tatum and I unloaded our ATV’s and began our annual shed hunt for 2011. We knew that there was a tremendously high number of mule deer on several food sources so we began our search there. Kyle filmed Mike Lutt shoot a 180 class mule deer named “Double wide” that had a 33 and a half inch spread in the same area during early October and was familiar with many of the bucks we were looking for. 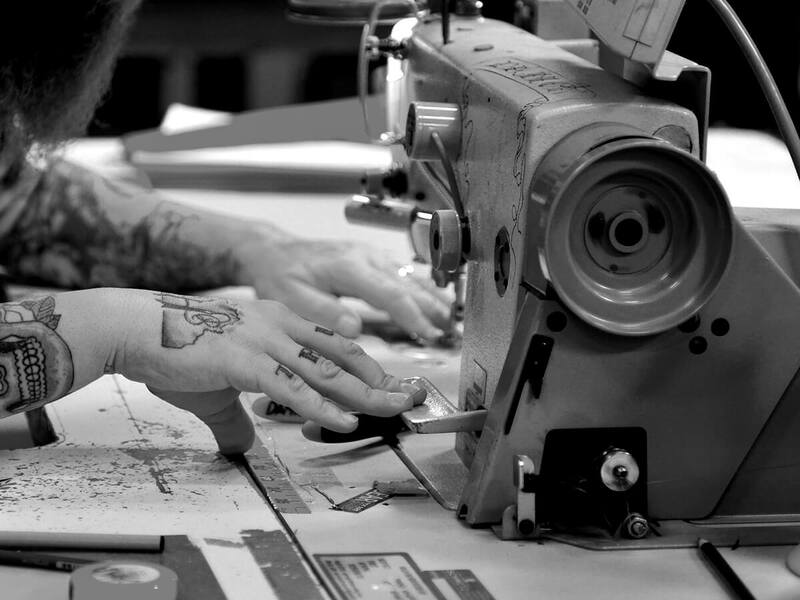 We generally start our search out with drawing out a grid. With two ATV’s we work back and forth thoroughly covering a given area. Depending on the visibility of the field we spread out anywhere from 15-50 yards apart. The first pass yielded sixteen antlers for our trio! We could hardly hold ourselves back from flying across the fields and racing each other to the prizes we knew were everywhere. Stepping back we analyzed our best options and made sure that we covered the ground the best that we could. Five hours later we finished our adventure and went through our collection. We recognized many of the bucks from the past season and counted a total of 168 horns from the first couple of hours. That afternoon Steve convinced us that we needed to look for one of the bucks he had located in January that we weren’t familiar with during the hunting season. The buck had an impressive 175 inch typical frame and sported a five to six inch drop tine on his right side. Understandably Kyle and I didn’t need much convincing to look for “The Drop Tine Buck”. The interesting part of this hunt was that we knew there were only three mule deer bucks in the area. After arriving Steve went south and Kyle and I headed north. Less than two miles into our search Kyle spotted a small three point side along a fence line parallel to a wheat stubble field. We assumed that the other sheds would be close so I turned around to go get Steve since this was his endeavor. I dropped Kyle off and he immediately found another small four point shed. So now we had found two of the three bucks we were looking for. I randomly choose a path across the middle of the field and less than twenty yards away I nearly ran over the drop tine side. As I jumped off of my ATV Kyle exclaimed “Wow look at that one”. I assumed he was talking about the side I had found, but he leaned over and picked up the other side to the drop tine buck. We flew across the field holding the horns high in the air for Steve to see. He came over and was ecstatic that we had found the deer he was looking for. 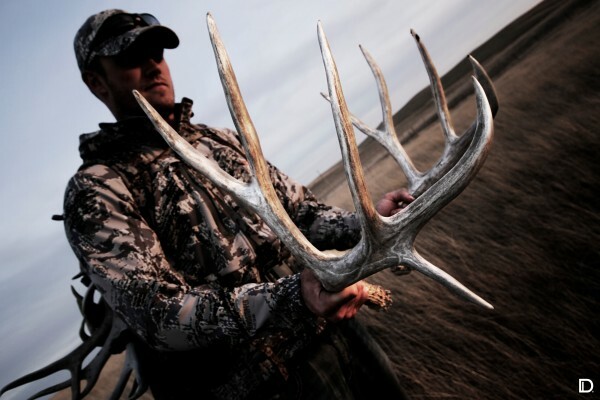 The right antler of the buck scored 84 7/8 inches while the left horn scored 79 1/8 inches. Assuming an inside spread of twenty inches the buck would have grossed 184 inches. The best news is that the deer is a three-year-old. Needless to say we are all anxious to see what he will turn into this summer. The next day we joined up with one of our guides, Kasey Peters, to hunt on his property. 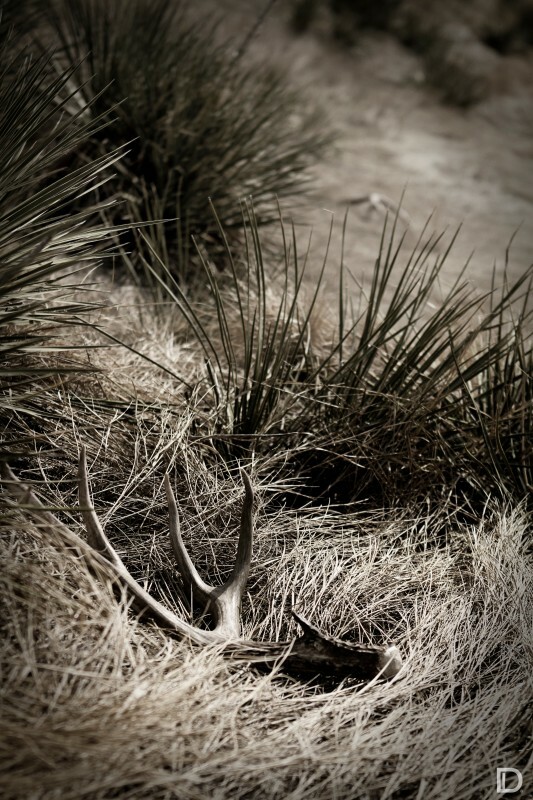 We spent the day walking his family ranch and found several respectable whitetail as well as mule deer sheds. By lunch time we had found 30 horns and moved on to another field we knew had some good whitetails along a river system. The spot ended up being a disappointment. Consistently every year we pick up 100 horns along this river, but it had flooded and left the ground covered with debris and six inches of muddy silt making shed hunting impossible. The same evening we attended a Pheasants Forever banquet in Draper and enjoyed a relaxing meal with the local hunters. After the banquet we went outside and realized that the full moon was amazingly bright. We had a 200 acre sunflower field that we knew had a lot of sheds to be found, but was too muddy to drive in with the ATV’s. 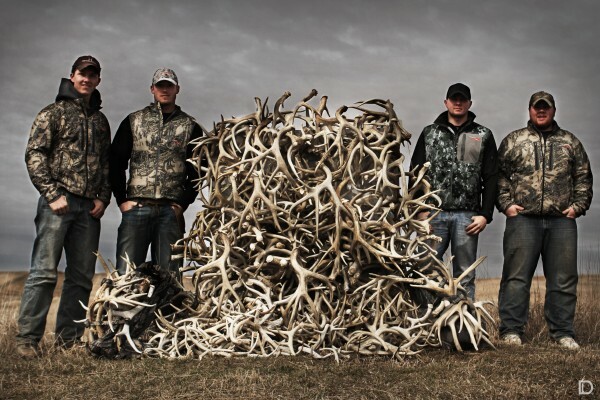 It’s not hard to convince Kyle or Steve to do a little extra walking if they think they can find an extra shed. We waited for our final shed hunting buddy Dustin Lutt to arrive and we loaded up and attempted our first ever moonlight hunt. The first round none of us really knew what we were looking for. Half way across the field the five of us were beginning to wonder if we were wasting our time when suddenly Kasey yelled out that he found one. Another fifteen yards and Kyle found the other side. The field we were in was harvested and the flowers were planted in thirty inch rows. We learned that if we spaced ourselves about ten rows apart that we could effectively cover the property. Spotting sheds in the dark in a field full of white debris is an overwhelming task, but it worked amazingly well for us. We began our search at 11:30 p.m., and by 3:00 a.m. we had discovered forty-five antlers including a set Dusty found that scored 175 inches assuming a 16 inch inside spread. This particular buck was one that Mark had been watching during his December hunt that we just couldn’t get within range. The rest of the weekend ended up producing a total of nearly 300 sheds. 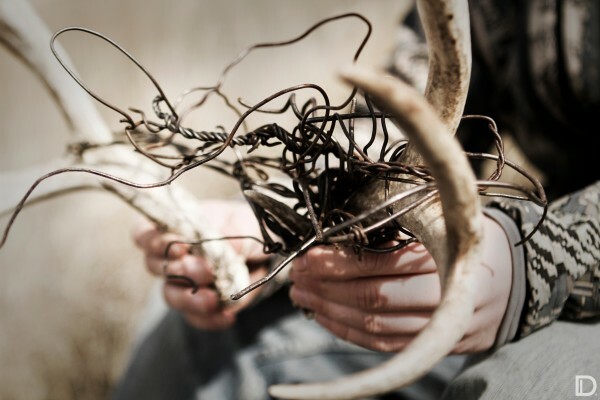 Some of the best sheds included a non-typical set off a three year old we had been watching on a piece of public land, a 74 inch whitetail with a split G2, Kyle breaking his personal 100 shed mark for the year, a young mule deer set of sheds with his antlers tied together by an entanglement of barbed wire, and a total of over forty-five matching sets. All of this was produced in a total of only four days. 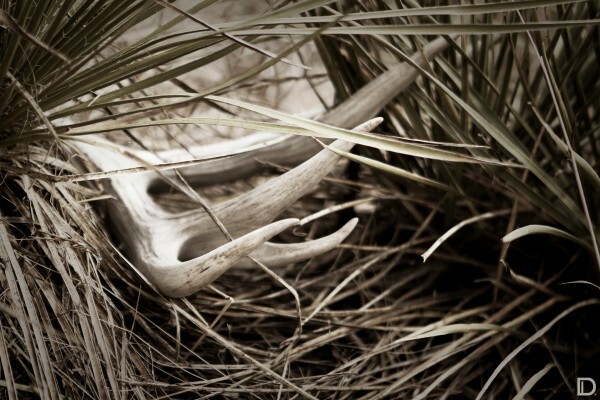 Shed hunting is something that we have all become obsessed with. It is an addiction that all of us share and can relate too. The feeling of reaching down and holding in your hand a piece of history is impossible to describe. The journey of each buck losing his antlers that end up falling in a place for us to find is an amazing process we think about relentlessly. 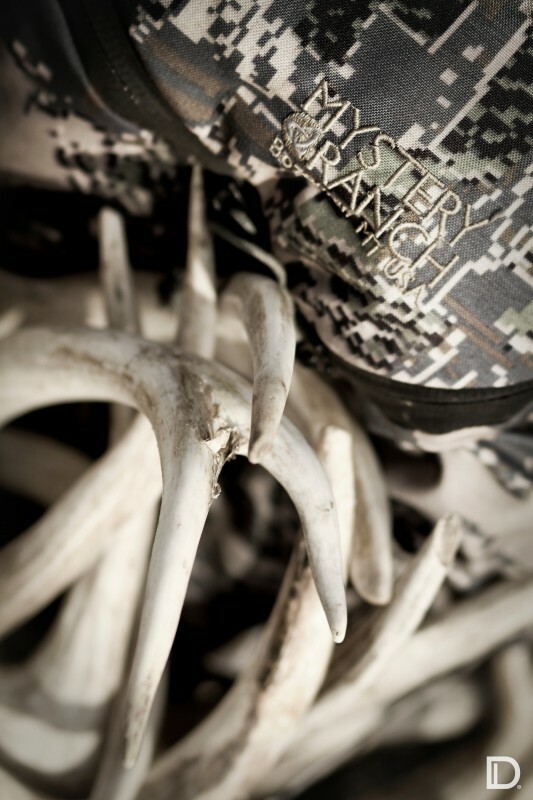 It is a passion we embrace and will pursue every year in hopes of finding just one more shed.